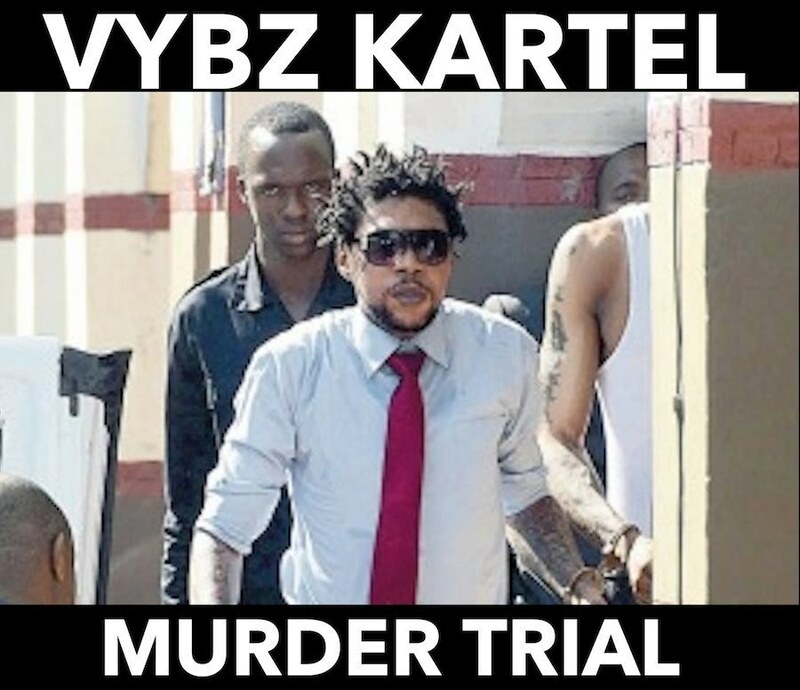 Dancehall artiste Vybz Kartel is back in the Home Circuit court today to continue his ongoing murder trial. The former Portmore Empire head is jointly charged along with Shawn “Storm” Campbell, Kahira Jones, André St John, and Shane Williams for the alleged murder of Clive “Lizard” Williams. Last week Friday, the prosecution started airing damning audio evidence from a cellphone the defense are saying was tampered with. However, the judge entered the audios into evidence despite the defense objection. Today, Detective Sergeant Patrick Linton, a former head of the Cybercrime unit, continues to air audio evidence in court. 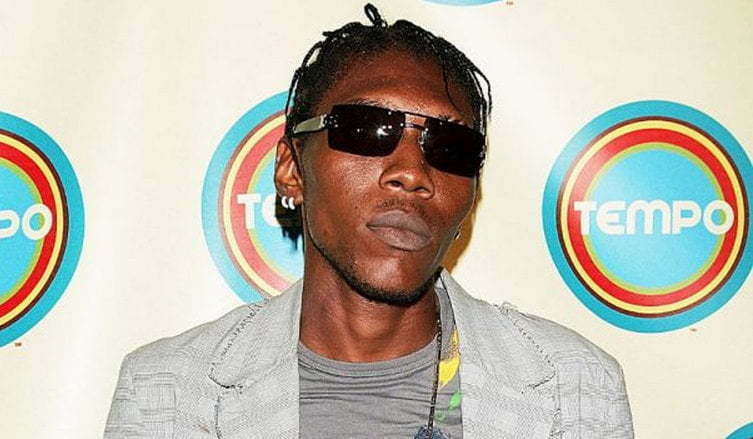 Linton says the audio data was extracted from a smartphone belonging to Vybz Kartel. Patrick Linton also showed the court photo evidence of a man with what appears to be a dog bite on his left foot and of another man with “World Boss” tattoo on his arm. Linton plans to introduced some Blackberry Messages taken from the cell phone. Police say Clive “Lizard” Williams was murdered over two missing firearm on August 16, 2011 at a house in Havendale. Dont judge nuh man yute cuz nuff man weh nah bleach a molest wi kids dem n a kill innocent ppl…it simple if him dweet a prison if him nuh dweet free him. Bwoy y u worrie urself with wat another MON a do wit himself!? Lol yuh must luv mon! Who bad mind a man for wat him do to himself? Mi nah care if him tun pink the music still good! Big mon nah care wat him look like, we deal wit de tunes dem! We let da gyal dem concerned dem selfs wit how him look! Smh some of these dudes I dnt get! Everyday 1 of u fools talk bout bleaching with kartel, look ow long Jamaicans a bleach di man skin a unnu problem. Gwan like a the first man fi bleach, di amount a shotta weh bleach b4 kartel start a bet unnu never sey anything cause unnu fraid dem kill unnu. Don’t judge no man Nd wish fi him freedom get tek weh give him a fair trail with fair evidence den if him guilty dem prison if not den road. Mi neva wa believe seh mi artist woulda actually be guilty of sumting so stupid…But if u guilty mi artist is prison di ting deh…naah judge a man cause mi nuh know wa happen fi him to commit da crime deh. “…photo evidence of a man with what appears to be a dog bite on his left foot” a cyan the same dog bite di man did a say chat bout. Fi all di gaza sheep dem, don’t worry, the photo has been doctored and the audio voice are that of Twins of Twins. Unuh daddy safe like old ppl draws waist. Donovan did you ever go to school. You have the unmitigated gall to say such non sense. I honestly hope Kartel spends the rest of his life in prison hard labor, I even suggest the death penalty, this dude is evil. Are you serious? Can you read? Go look up dat ” sar·cas·tic”. Yardie, i think u need fi read the trasnscript again! He neva say I want shawn to buy dem bak! Him say “IF dem eva cut, shawn storm will buy dem bak!” Idk wat u or de others a see. Bt I dnt see anything criminal about dat! Intelligence for wat welsh? Any idiot wit out hate or dislike for Gaza or kartel can look pon this case wit a neutral state of mind & see that their is no strong incriminating evidence pointing to kartel or shawn storm killing lizard! My intellectual abilities are good! Bt some of you, need fi do something bout da hate inna ur heart! Yeah bwoy, mi see it now! In light of tht evidence from yesterday, a true it looks ruff! Respect Rrrdon! Bt true still, I dnt wah sound like a fool or anything, bt im sure they hav a deffence for tht. The police admitted them self’s tht an officer did use one of the phones while it was in evidence! & me, u , anybody can download the app tht create fake text & calls! Nt saying thts wat the police did, bt possible. & y dem a wait over two year to bring out all these evidence? Well me sorry fi him cause what ah mess him get caught up inna.Low the hot head thing it`s not fi everybody. Yardie , Kartel put himself in a big mess . Let’s see if he will get off . So Vybz Kartel wanted Shawn Storm to buy back the guns them from what mi understand in the audio transcript. Why am I not surprised. Kartel is a disloyal ungrateful youth. If them never get lock up know what would happened. 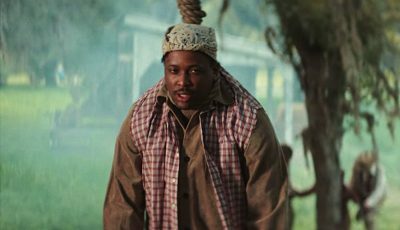 Its along time i have been seein deads who tell the tales.. but lizard will never be found he is ash… let the guilty man reap what he sows! !